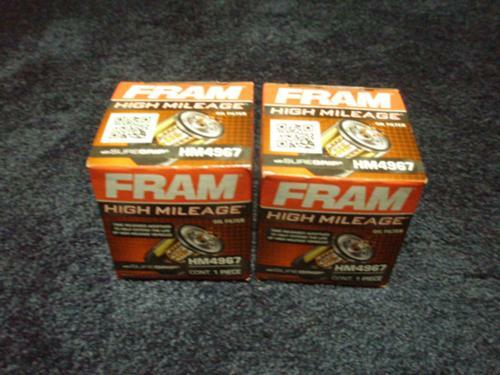 For Sale: I have 2 Fram oil filters HM4967. The price includes both filters. I sold the car and have these left over. They retail at Walmart for $6.47 each. If you need me to ship them send your address and preferred method of shipping for the final price.